Reading Isaiah 29 with my wife the other night, the thorough monergistic soteriology found in the Bible has popped out at me yet again. A New Testament parallel of Is 29:13. For the Lord has poured over you a spirit of deep sleep, He has shut your eyes, the prophets; And He has covered your heads, the seers. The entire vision will be to you like the words of a sealed book, which when they give it to the one who is literate, saying, “Please read this,” he will say, “I cannot, for it is sealed.” Then the book will be given to the one who is illiterate, saying, “Please read this.” And he will say, “I cannot read” (Is 29:10-12). For those whom God has hardened (shut eyes, covered heads) they will not be able to understand Isaiah’s prophecy in his book, and therefore they will not turn and repent. God then judges the hearts of the very same men He hardened in the very next verses! But they remove their hearts far from Me, And their reverence for Me consists of Tradition learned by rote, Therefore behold, I will once again deal marvelously with this people, wondrously marvelous; And the wisdom of their wise men will perish, And the discernment of their discerning men will be concealed” (Is 29:13-14). Did you catch that? 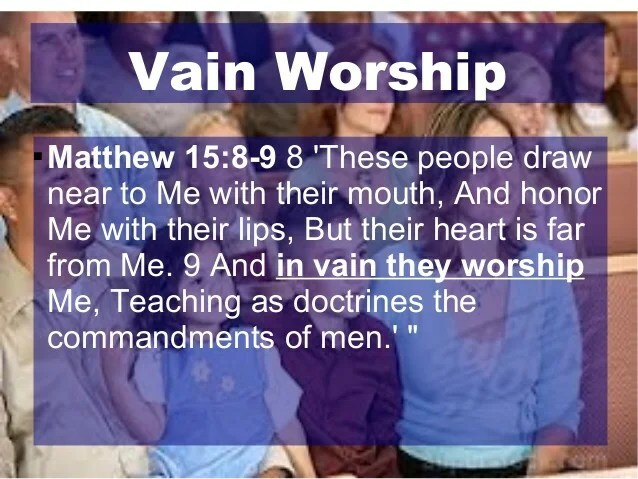 As punishment for their hardened hearts, God will make sure these men will perish that those who fancy themselves with discernment will be made increasingly ignorant. This sort of double predestination is not a comforting thought for many, but this is clearly what the Scripture is teaching. Is it not yet just a little while Before Lebanon will be turned into a fertile field, And the fertile field will be considered as a forest? On that day the deaf will hear words of a book, And out of their gloom and darkness the eyes of the blind will see. The afflicted also will increase their gladness in the Lord, And the needy of mankind will rejoice in the Holy One of Israel…Those who err in mind will know the truth, And those who criticize will accept instruction (Is 29:17-19, 24). The deaf can now here and the blind are made to see. Obviously this is miraculous because 1. blind and deaf people cannot will themselves to regain their lost senses and 2. just as “Lebanon will be turned into a fertile field” presumably by God, “on that day” the blind and deaf are changed by God. And return and be healed (Is 6:10). God will not be compelled to be gracious to men who universally, apart from His grace are not “righteous, not even one” (Rom 3:10). So, He is in the right when he condemns such unrighteous men to increased blindness and He is right and exceedingly gracious when He takes those “who err in mind” and make them “know the truth.” Praise be to God!